You are here: Home / Beauty / Top Gift Ideas for Her: Treat the Lady in Your Life This Holiday Season w/ These Gifts Under $40 from Showcase! Top Gift Ideas for Her! During the holidays, we strive to find the perfect gift for our loved ones. While they say that men buy and women shop, it’s undeniable that it can be a bit difficult to shop for the ladies in your life. 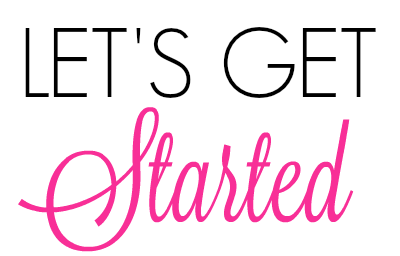 Luckily, Showcase is offering a fantastic line of products not only for her but, for every person in your life! You can find toys, gadgets, beauty products and so much more. Being a practical lady myself, I have to say that I love gifts that are not only fashion forward, trendy and fun but, I adore gifts that are above all else–useful. Since you are here to shop for her, you can stop thinking, “What do I get my wife for Christmas?” Check out the awesome list below with gifts that she is guaranteed to love! I am obsessed with candles, I honestly never thought I’d be one of those people–but, I totally am! I think they make great gifts, not only for the aromatherapy but, they make great decor. 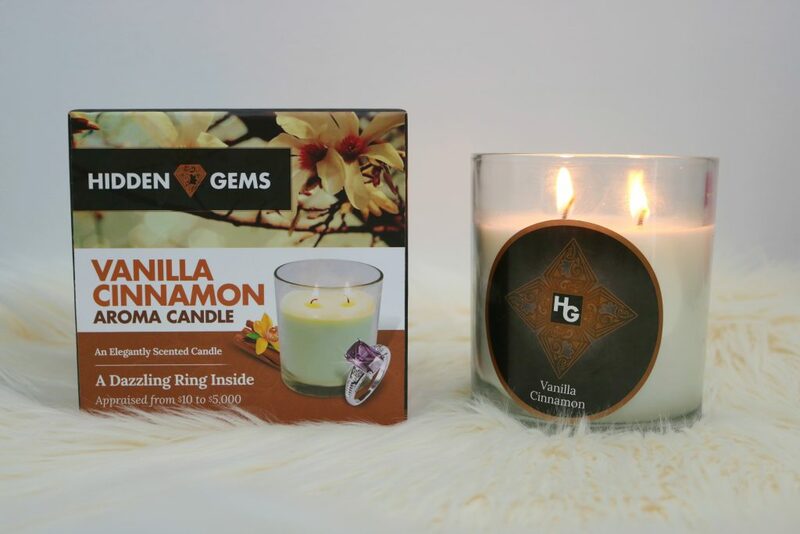 When you purchase a Hidden Gems candle for your loved one, they get two gifts in one! 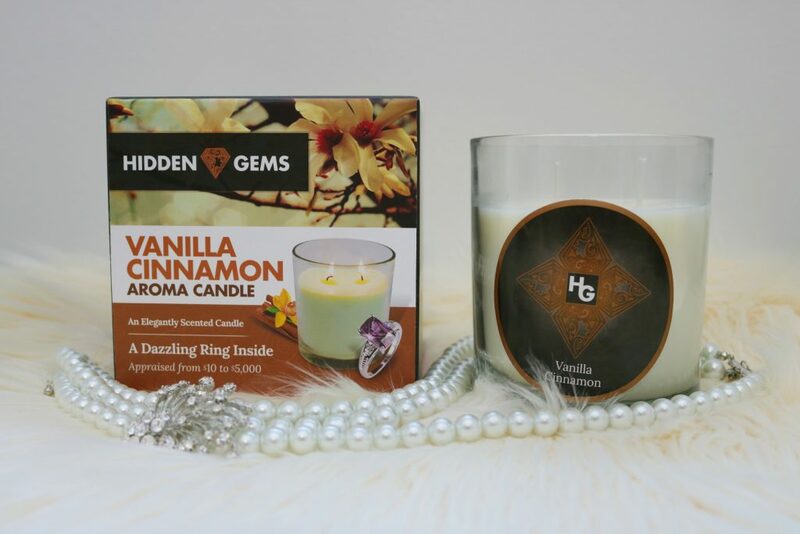 Inside the fabulous smelling candles are designer rings that are appraised at a price between $10 and $5,000. This, very alien, situation gave us the drive and ambition to be our own boss to avoid future reliance on others. We knew it was the right time to step into the world of retail and create our very own identity and brand selling home accessories. Check out this michigan apparel from Livnfresh, its beautiful. The candles are available in two series, the signature series and the classic series. No matter what series a person chooses to purchase, they will discover that the candles are made with the highest quality of natural oils and they all produce amazing scents. 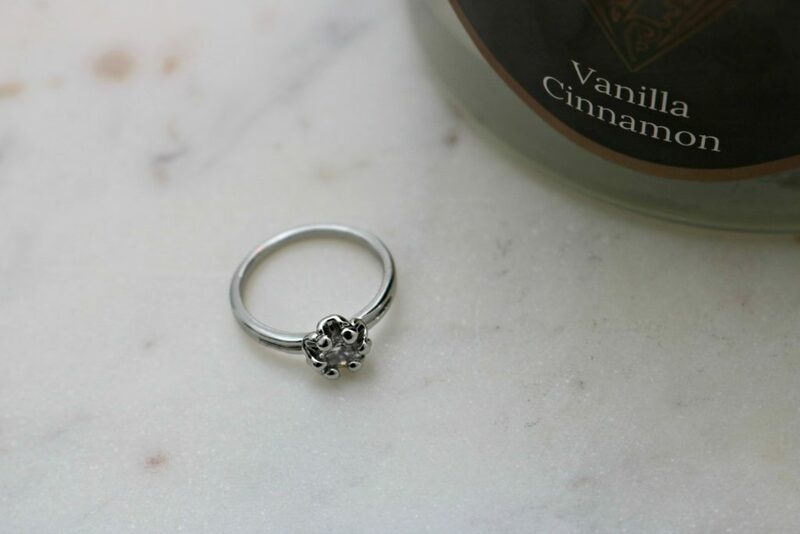 I had the Vanilla Cinnamon aroma candle to try out and it was fun to burn and discover what was hidden away. The aroma is light and not overwhelming compared to how some candles tend to be and since it is made with soy wax, it burns down and doesn’t just burn down through the center. I lit the double-wicks and let the candle burn for about 15 minutes. Once you start seeing the tin foil come through, blow out the candle, let it cool for a moment and then use a pair of tweezers to pull out your treasure. I ended up with cute ring and I went onto Hidden Gems to appraise the ring and it was valued at $10. Maybe next time I will hit the $5,000 ring jack pot! The scents that are available in the signature series are cinnamon apple splash, poinsettia peppermint, pine cone spiced sugar and gingerbread gold frost. Each candle in the signature series is sent with decorative foliage to enhance everyone’s holiday décor. The classic series scents are sugar and cinnamon, mandarin mango, mulled apple pie, vanilla cinnamon, meadow mist, floral fruit and lavender peach. 2. Hidden Gems Bath Bombs. There’s nothing like giving the gift of relaxation and a bath is the epitome of relaxation. Inside the bath bombs are designer pendants that are appraised at a price between $10 and $5,000. Imagine relaxing in a bathtub with Hidden Gems candles burning in the background and walking out of the bathroom with a couple of thousands of dollars in cannabis-inspired jewelry!! This could actually happen! 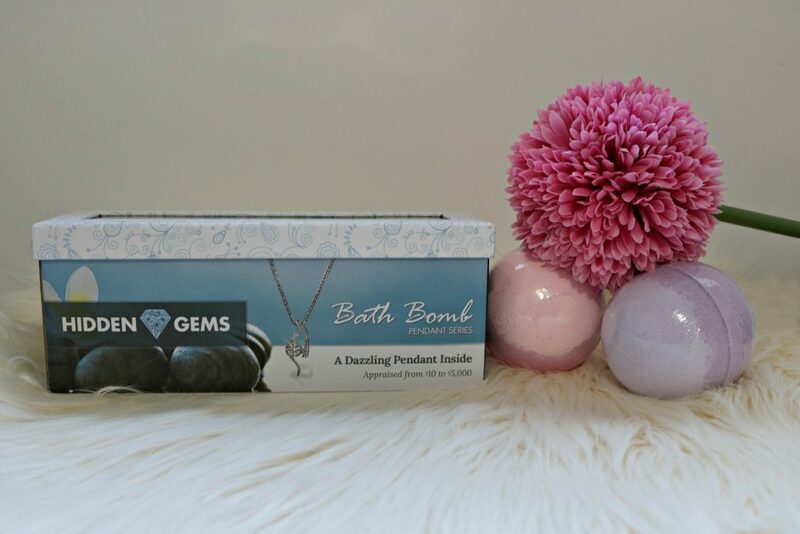 The Hidden Gems bath bombs are available in a pack of three and each bath bomb is filled with essential oils, floral scents and quite a bit of relaxation. Anyone who wants to spend some time relaxing should purchase either a bath bomb or a candle. It’s also the perfect gift for the upcoming holidays, birthdays or any special occasion. One of the best parts is that they get to use the bath bomb or the candle and when the bath bomb fizzes away or the candle burns down, there is a piece of jewelry waiting for them to open. Talk about a gift that keeps on giving! On the same track of relaxation, it should start from head to toe and that means getting a good night’s sleep. I have been trying to find the perfect pillow for me over the years and I’ll be 100% real here, I haven’t found it. I’ve tried all types of pillows ranging from $10 and up. No matter what I do, I end up sleeping wrong and most days, I wake up with a sore neck that leads to tension on the shoulders and leads to headaches. Let’s not forget about a sore back too. 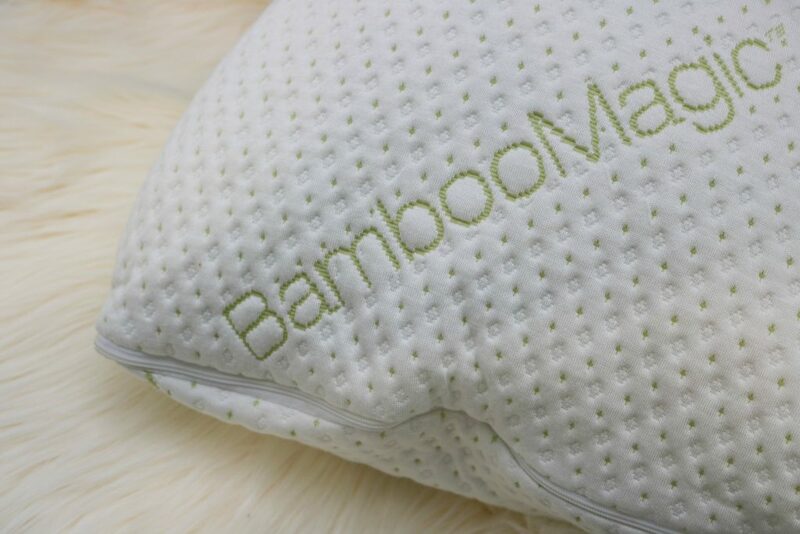 So yes, when I had the chance to try the Bamboo Magic Pillow, I jumped at it. I, too, have seen the infomercials and I wanted in on this magic. As soon as the pillow arrived, I opened it and placed it into a pillow case and put it on my bed and I’ve been sleeping with it ever since. It is uniquely designed to provide comfort, contour and coolness throughout the night. It’s made for side sleepers, back sleepers and stomach sleepers and guess what? I am all of those! So, if you know someone who struggles every morning, feels sore or exhausted all the time, this is a great gift. How did I fare? Put it this way, I’ve ditched my old pillows and have used this every night. I find that my neck doesn’t overstretch anymore. I don’t wake up with pain and the thickness is just right. It helps to keep my head and body aligned and I think that’s what I was missing with over-firm or over-soft pillows that I have been using. The Morphe eye shadow palettes are perfect for those who love quality and value. The palette contains 35 matte and shimmering shadows – from palest ivory to darkest chocolate. It’s no wonder that this creamy eye shadow is the favorite of many make-up artists. I love that you can use the colors to create a sultry smoky eye or a light day time look. There are about 10 palettes and they are exclusive to Showcase. What I loved about this palette was the pigmentation. It has shades to help your main shadow look brighter and they are highly pigmented. The shade I used almost has a foiled look. It’s long-lasting and true to its color. I find that it doesn’t take long to develop the color, which speaks volumes about pigmentation. I was able to create this look using the Morphe palette, Morphe Brushes, Wunderbrow and Colourpop ‘Are N Be’ matte lip stick. Astonishingly good value, Morphe Brushes’ 35-pan palette contains an array of wearable shades for achieving a spectrum of subtle to smoldering make up effects. The sleek, slimline palette is a favourite of professional make up artists, while the buttery powders blend together beautifully to achieve a seamless, photo-ready finish. Apply Make-Up Like a Pro! I travel often and bringing my brushes with me can be a chore. I often have a whole separate bag for them. 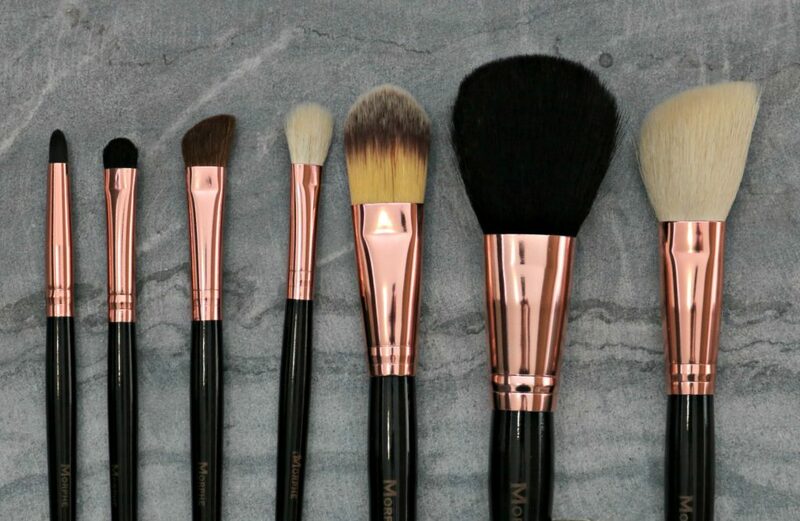 The Morphe Brushes 701 7 Piece Rose Brush Set is a stylish collection of makeup tools that comes in a cute and sleek leatherette case. Perfect to bring with you whenever you travel or to display in your vanity! The set contains everything from deluxe powder and blusher brushes to essential eye brushes and is loved by professional makeup artists. I love the size and the feel of them. They aren’t rough and they help you to develop your looks much easier. The brushes go hand in hand with the Morphe palettes and you can pick them up individually or in the travel pack like aforementioned. They are perfect for the person in your life who wants to take their make-up game to the next level. 6. ColourPop Ultra Matte Lip. I am a huge fan of lipsticks and especially matte lips. 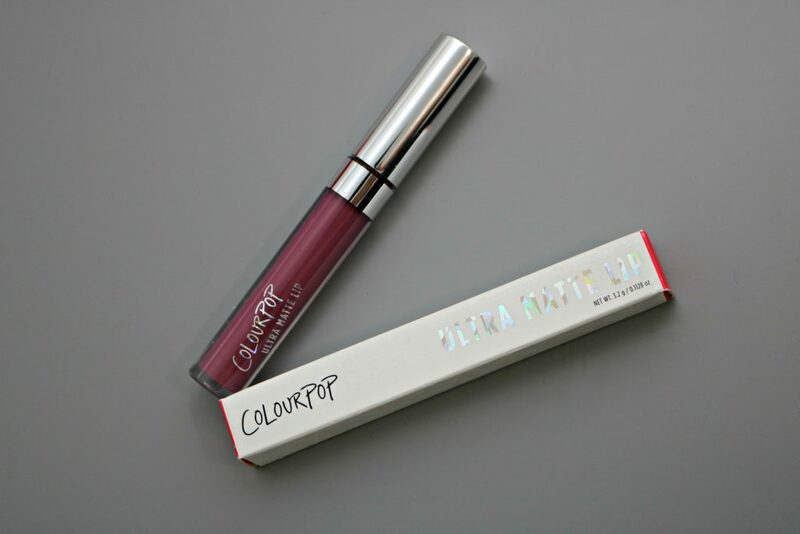 I’ve heard of ColourPop before and I have always wanted to give it a try to to see how it really stands up against other options. I have heard that ColourPop is a quality product at a price that is affordable for everyone! So, having heard great things, you know I had to try it for myself! 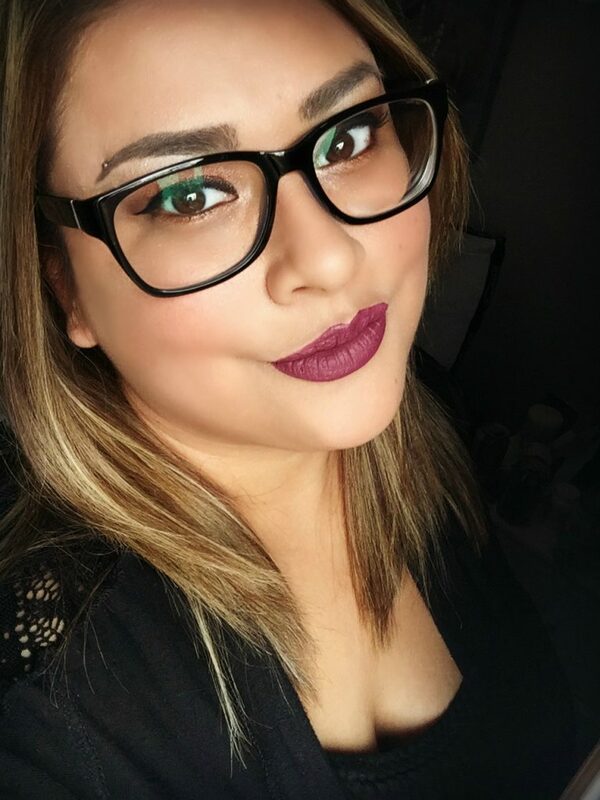 I tried out the ColourPop Ultra Matte Lip in “Are N Be” which is a gorgeous shade. A play on violet with pinks, it’s actually a shade that I love. Then again, I love bold colors just as much as dainty ones. 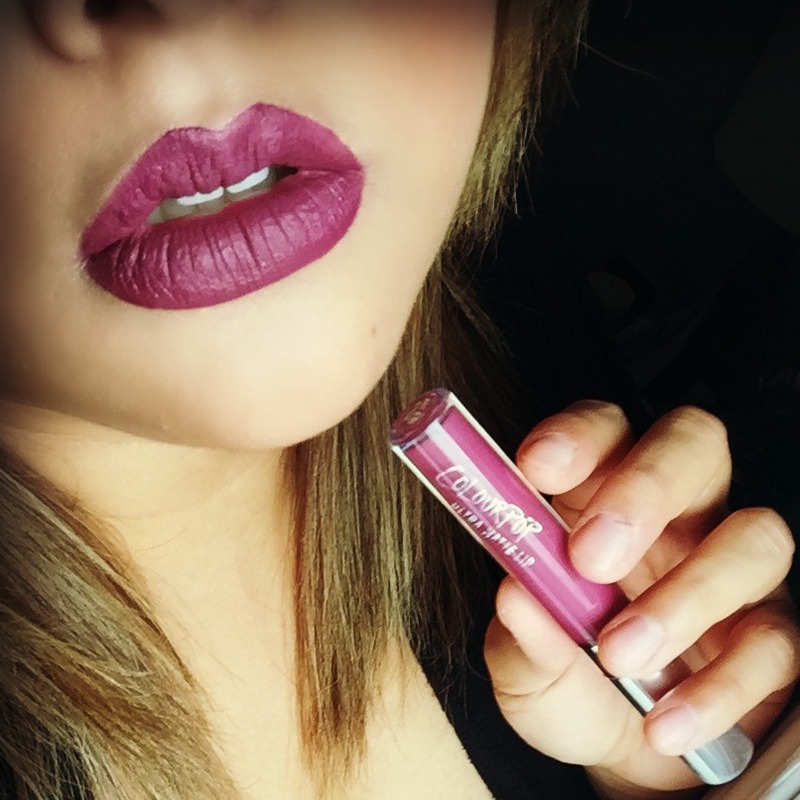 The ColourPop lipstick goes on glossy and dries matte. ARE you ready to BE fabulous in this Rich mauve plum. As you can see, I am loving this shade of ColourPop and I cannot wait to try even more shades. This one in particular though, is perfect for my skin tone! It’s actually very simple to apply and by following a couple of simple instructions, you’ll have a perfect kisser! The color is similar to the tube and goes on smooth and glossy. It dries matte and it dried a bit more purple than I thought. But, I gotta tell you–I dig it! When it dried matte, you can experience a bit of a feeling of tightness but, I did not experience any cracking and it lasted all-day and after going out to eat. So, it withstood my napkin of doom! Also, I find that it changes color depending on the lighting. In light it appears more pink and in the absence of light, it appears dark purple. Step 2: Apply a matching lip pencil for a precise and perfected application. Step 3: Apply Ultra Matte Lip with the applicator or your favorite lip brush. **For smoothest finish always exfoliate your lips first! 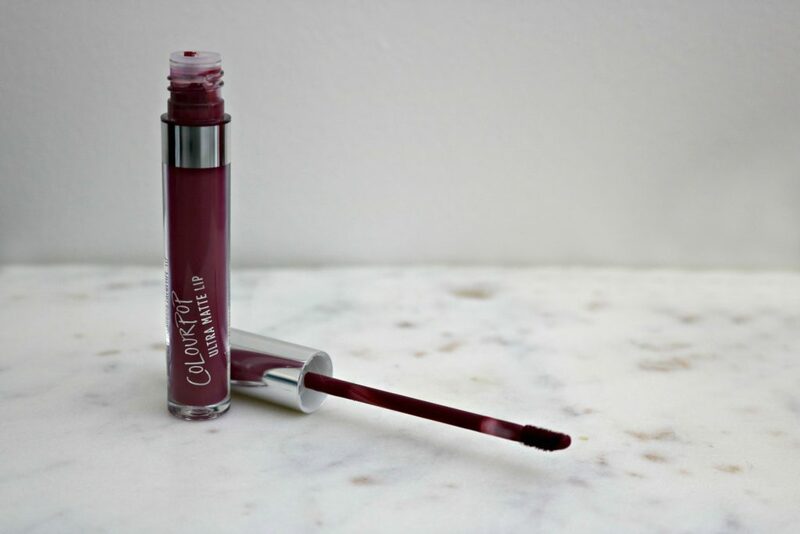 This thin and lightweight formula glides onto the lips smoothly and leaves SUPER intense pigment-rich colour with a bold, ultra matte look. It’s very long wearing and completely kiss proof! We suggest storing these babies upright and shaking before application! If you know someone who is crazy over lipstick, these ColourPop shades are the perfect ones for them. They are made well and to top it off, they are affordable. They make perfect gifts or stocking stuffers, believe me, they will not be disappointed! 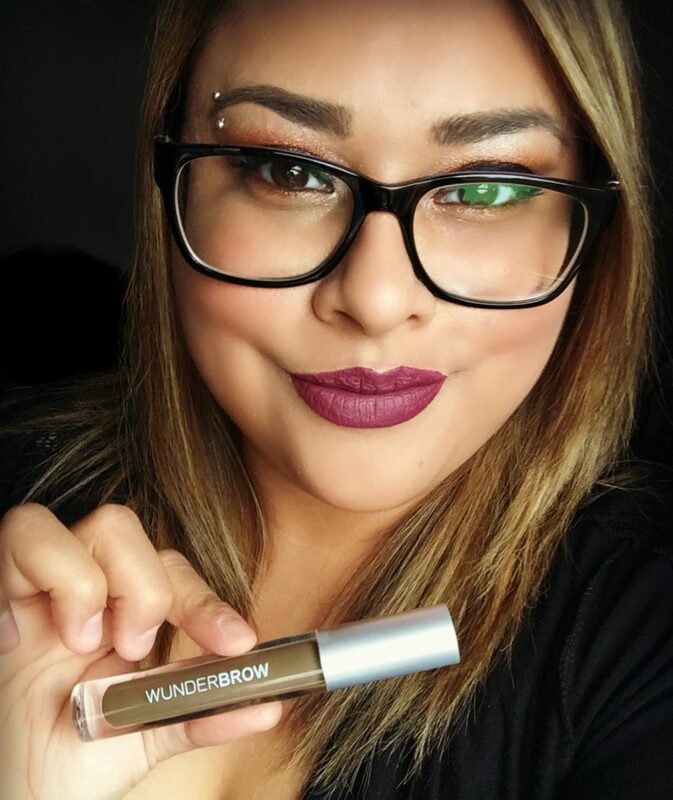 If you or your loved one is into make-up, you know all about Wunderbrow. It’s something that my make-up junkie self has wanted to try for a long time because eyebrows are life. You know, eyebrows over everything! One thing is for sure though, no matter what you use, whether it is gel, pencil or pomade–they don’t stay on all day! Also depending on how you apply them, they can look unnatural and you have to be careful not to rub them off. Some people have even got them tattooed on with less than satisfactory results. It isn’t for everyone. When it comes to products for brows, it should be easy and most of all, it should be long-lasting! Long lasting-stays on until you decide to take it off. Transfer-proof-will no transfer onto your clothes. Budge-proof-will not smudge if you rub. Water-proof-shower, swim, workout, wunderbrow stays put. Hair fibers-fill in sparse areas for a natural look. Includes (1) Wunderbrow in selected colour. This is perfect for the make-up lover and something that they will love to find in their stockings this holiday season! I loved how it left my eyebrows and how natural it looks. Best of all, it lasts! It lasts, my friends! To remove, I used a make-up remover and cotton ball and it came off. Otherwise, it can withstand and last all day. There you have it, now you are armed with quite a few gift ideas for the wonderful ladies in your life. Heck, you might even find something you can add to your own wish lists. All of these products are available at Showcase so you can either pick them up in-store or shop for them online. Keep in mind that some of these items are exclusive only to Showcase, too. If you are looking to save a few bucks, check them out online, they always have doorcrashers and flyer sales that you can take advantage of until the big day is here! Visit Showcase for more information about these products or more and connect with them Facebook, Twitter and Instagram. Which item do you think the lady in your life would love? I love that matte lip look! These great gift ideas. I would love them all! What great gift ideas! Love that purple colored lip- so pretty! It is a fun color! I am all about matte lipstick these days! I really love these gifts ideas for myself and would take any of them. These look like great gifts for the holidays. I have never heard of the bath bombs with a hidden surprise inside. My Daughter would love it. She sure will! They are a lot of fun! My Daughter has been asking for make up brushes. These would be perfect for her. I love the colors of these lip sticks. The candles with jewelry in them is such a cute idea. I need that pillow, my sleep is horrible lately 🙁 And I kind of really want to try that eyebrow stuff! The pillow has helped so much and yes, the Wunderbrow is AWESOMESAUCE. Makeup, pillows, and bath bombs are all on my list. I should just direct my husband here to pick out gifts for me, lol! Send him this way, it is all in a big list for him! He does not even have to leave home! I am a fan of the Colour Pop lipmattes. But I do find them drying (I am 55). So I put a bit of creamier lipstick underneath and it really helps. They do get a bit dry, I did not experience any cracking but, that is a great tip! I love all these gift ideas!! Going to send my husband this website with a big ole wink and tell him to start shopping like STAT!! Thanks for the resource! Hehe, I think that is a great idea! So many great sales at Showcase right now! Thank-you, it is my current fave! These are great ideas! I love that scented candle for myself! It was one of my favorites, I burned it the first chance I got. Great list! 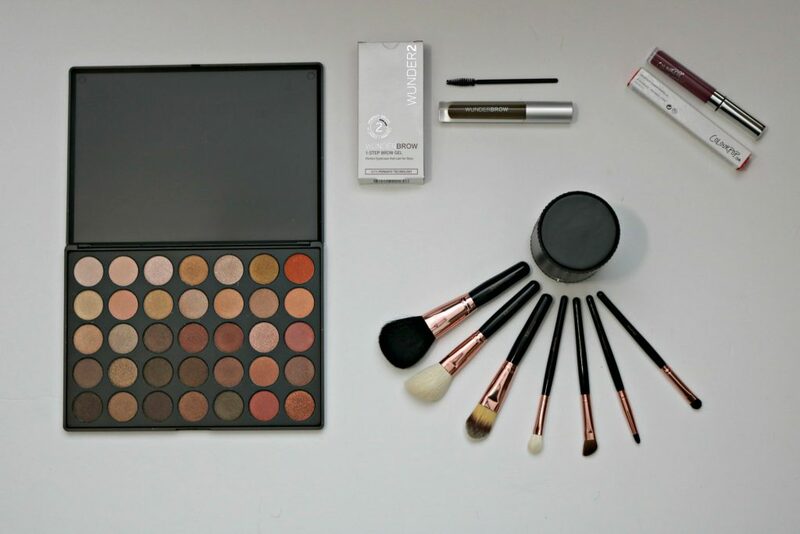 My favourite would be the Morphe brushes!